We are the South Asia Archive & Library Group, representatives of libraries, archives and other institutions in the United Kingdom with some degree of specialisation in South Asian Studies. Please check our blog regularly to see our latest news (plus new links and blogs we're following - see below)! Or subscribe for regular email updates. I am delighted to publish this post by Mobeen Hussain, PhD candidate in the Faculty of History at the University of Cambridge. During my summer research trip to Pakistan in 2018, I visited many local archives and libraries which provided a snapshot of the archival and scholarly landscape of Lahore. I visited the Punjab State Archives and Civil Secretariat Library, the Pakistan Research Society at the Punjab University, Punjab Public Library, the Quad-i-Azam Library and the National College of Arts (formerly Mayo School of Industrial Arts). 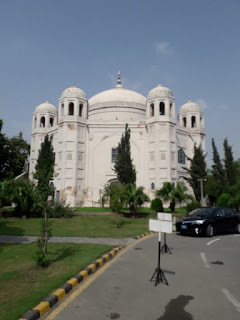 Visiting Lahore for the first time meant that I was able to observe numerous researcher and archival challenges; challenges that local users are aware of and have to contend with on a daily basis. Upon arrival at the Punjab State Archives, I met with the archives’ director, Mohammed Abbas Chughtai, who explained that the archive and its libraries have received fewer visitors after the events of 9/11 due to concerns about safety in the country. The archive does, however, receive some non-native and international scholars, and the research officer and director were eager to help as well as point visitors in the direction of other useful resources. The Punjab State Archives and the associated Civil Secretariat Library boast of lengthy Persian and Urdu collections as well as administrative documents from the Punjab during British colonial rule. I learnt much about the archive culture in Lahore by taking time to talk to academics, fellow researchers, archivists and librarians who were pleased to receive scholars in their institutions. Speaking to archivists and librarians is a must­­— they know their materials best. I would also advise researchers to take some time speak to fellow Lahore-based researchers and academics at local universities including the Lahore University of Management Sciences (LUMS) and Punjab University. Local scholars often know about the research potential across the city, about new books published in Pakistan (particularly by the Oxford University Press based in Karachi) and other places of interest. Due to limited funding and resources, many South Asian libraries and archives do not have intuitive online catalogues or websites. If they have a website, such as the Punjab State Archives, it can be unwieldy and only highlight key points of interest in the archive (and not reflective of the content held). However, many institutions have handlists including the Civil Secretariat and Punjab Public Library. These are by no means exhaustive but are useful in order to take stock of what an archive holds and helps to narrow and focus a search. The Punjab State Archive has announced its digitisation project and recruited digitisers, but the project is yet to start and the archive is waiting on lengthy administrative processes to obtain more funding. The climate of Pakistan presents its own preservation pressures. The heat and humidity, despite the use of fans (and, at times, air conditioning) as cooling methods, results in brittle paper that is prone to easy wear and tear and the rapid accumulation of dust. When discussing the preservation of archives in Pakistan, Saamia Ahmed, the associate professor in charge of the archives at the National College of Arts, noted that finding space was one of the biggest challenges facing small and local archives. Indeed, the Civil Secretariat library has a handlist of English-language colonial-era books, but numerous items went missing as a result of numerous relocations of collections. Researchers just have to try their luck but I definitely recommend a visit as the current location is library aficionado’s dream. A few of the libraries and archives I visited did not have many handling restrictions. The use of pens was not prohibited, and fans and drinks were vital for users in the summer heat but could easily contribute to the damaging of records. The limited restrictions were useful when viewing and handling full records and taking photographs. However, in order to help maintain records for future, researchers should not take advantage of this and handle material with care (taking note of best practice at other institutions). Both researchers and archivists have a responsibility to think about long term preservation and how best to attract visitors to use their vast materials. Of course, it is important to bear in mind that many of these archives are still young compared to institutions like the British Library in London. Most Lahori archives and libraries run on limited funding and resources. Therefore, sharing knowledge practice with other national archives like the National Archives of Pakistan in Islamabad and international organisations would be useful. Some of this collaborative work has been done but needs to continue in order to preserve and make the most of these rich resources. Image: Punjab State Archives in the Tomb of Anarkali, Civil Secretariat (author’s own photograph). The first volume of the new open access journal Dastavezi: The Audio-Visual South Asia is out ! Dastavezi: The Audio-Visual South Asia is a journal for scholars and filmmakers, filmmakers as scholars, and filmmaking scholars working on regional and transregional South Asia. The journal provides a platform for linking audio-visual and scholarly practice from and on South Asia. Dastavezi is an open-access archive of audio-visual knowledge. By providing films published in the journal with Digital Object Identifier (DOI) numbers, Dastavezi encourages filmmakers and scholars working on South Asia to cite documentary film as a legitimate source of academic production. Furthermore, it aims to make the films accessible to audiences beyond the structures of the market domain. Through linking the production of audio-visual material with the filmmaker’s own conceptual writing we hope to widen the horizons of the existing field of documentary film-studies, visual-anthropology, and film practices on and from South Asia. Dastavezi is an offer of CrossAsia within the DFG funded project FID Asien. The journal is hosted by Heidelberg University Library in cooperation with the South Asia Institute at Heidelberg University. The work of entering the books held in the Archive Collection of the Centre of South Asian Studies onto the online catalogue continues. Austin Robinson (Sir Edward Austin Gossage Robinson 1897-1993) was Professor of Economics at the University of Cambridge from 1950 to 1965, one of the founders of the Economic Faculty and Fellow of Sidney Sussex between 1931 and 1993. The Economic Faculty building at Cambridge is named after him. From 1926-28, when he went to India soon after marrying Joan (nee Maurice), he tutored the young Maharajah of Gwalior. In his mid-seventies he was Senior Adviser to the United Nations Advisory Team to ASEAN (the Association of South East Asian Nations). 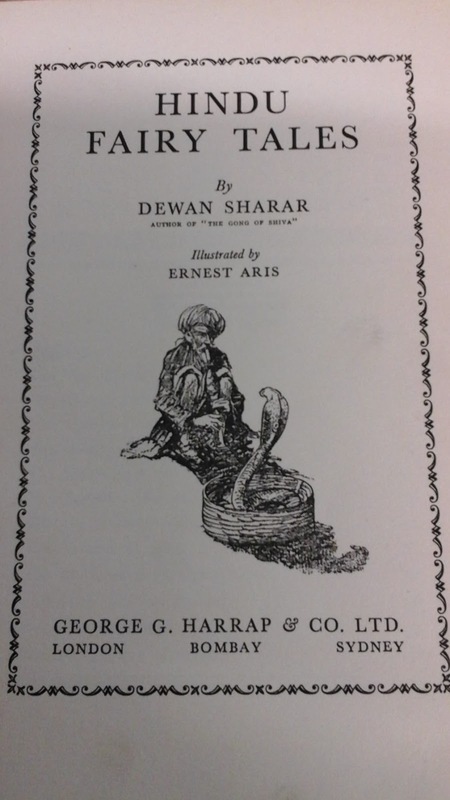 Rob 7 Dewar, Douglas Indian birds : being a key to the common birds of the plains of India. (London : John Lane, 1923), Rob 9 Frazer, R.W. Literary history of India. (London : T. Fisher Unwin, 1898) which, along with Rob 10 Wilson, H.H. Select specimens of the theatre of the Hindus. 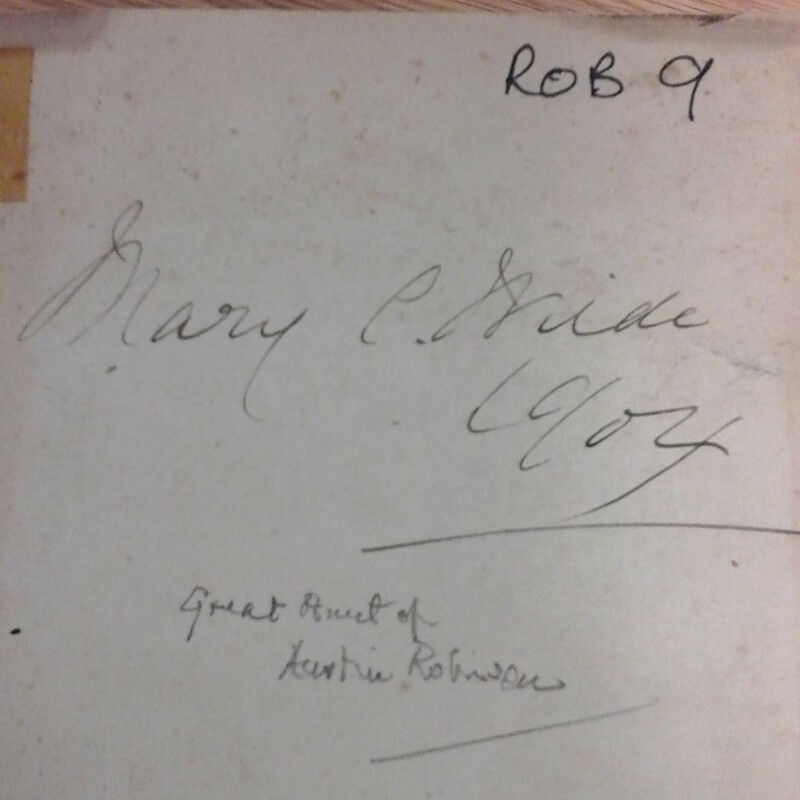 (London : Parbury, Allen & Co., 1835) had previously belonged to Mary C. Wilde his Great Aunt. We are delighted to announce the publication of 'Visual Histories of South Asia', edited by Annamaria Motrescu-Mayes and Marcus Banks (with a Foreword by Christopher Pinney). This volume is one of the ﬁrst comprehensive contributions to the rapidly developing cross-disciplinary scholarship that connects visual studies with South Asian historiography. The key purpose of the book is to introduce scholars and students of South Asian and Indian history to a detailed evaluation of visual research methods as a valid research framework for new historical studies. The volume identiﬁes and evaluates current developments in visual sociology and digital anthropology relevant to the study of contemporary South Asian constructions of personal and national identities. The thirteen contributions selected for this volume are of immediate relevance to visual theorists and historians, sociologists and cultural anthropologists, as well as to scholars of South Asian history and culture. The volume includes contributions by Denis Vidal, Marcus Banks, Josefine Baark, Thomas Simpson, Teresa Segura-Garcia, Annamaria Motrescu-Mayes, Imma Ramos, Xavier Guegan, Adrian P. Ruprecht, Aaron Bryant, Ronie Parciak, Souvik Naha, and Siddharth Pandey. 'This volume provides a rich feast of materials for anyone interested in the visual cultures and history of visual representation in South Asia and is notable as well for its fascinating exploration of the intersection of Western and local photographic practices’ – David MacDougall, Australian National University. 'This is a remarkable, genuinely interdisciplinary collection, and both a marvellously rich addition to the study of the life of visual images in South Asia, and a highly sophisticated contribution to debates of the interdisciplinary study of visual culture' – James Laidlaw, William Wyse Professor of Social Anthropology, Head of Division, Social Anthropology, University of Cambridge. 'This is an outstanding contribution to a timely and relevant focus on transregional visual history and historiography of South Asia. This rescaling of what is often times an India-centric visual history is accompanied by remarkably heterogeneous approaches from across disciplines and methods, challenging notions of political, cultural, religious or ethnic reifications. The book offers insights into original material and a framework of rich epistemologies, entanglements, relationalities and translations. It will encourage new generations of scholars to further push boundaries of established canons and exploring new frontiers of visual culture and history studies' – Christiane Brosius, Chair of Visual & Media Anthropology, Heidelberg Centre for Transcultural Studies, Heidelberg University. H.A.N Medd (September 21, 1892 - October 26, 1977) who assisted Sir Edwin Lutyens in in the construction of Delhi gave maps and various papers to the Archives of the Centre of South Asian Studies and a collection of 954 photographs which cover New Delhi and India General from 1920 to 1975.
and in Tales of Old Sind by C.A. Kincaid, London : Humphrey Milford, 1922. Archive MED 11, only held in the Centre. The illustrations are still in copyright so cannot be reproduced in this blog. The Medd collection includes guides to museums, art history, wildlife and the history of mountaineering. The oldest book in the collection is T.H. Hendley, Handbook to the Jeypore museum, Calcutta : Central Press, 1895 (Archive MED 19) which includes 16 plates, including 3 collotypes, 2 floor plans, and 11 photochromolithographs, whilst Roy Craven, Concise history of Indian art, London : Thames and Hudson, 1975 (Archive MED 28) was purchased shortly before he died in 1977. The highlands of Central India : notes on their forests and wild tribes, natural history, and sport by James Forsyth was originally published in 1871, Medd's copy was published in London by Chapman and Hall in 1919 (Archive MED 16). Another copy was presented by Col. H.B. Hudson (Archive HUD 12). The mountaineering books collected by Medd include Eric Shipton's Nanda Devi, London : Hodder, 1936 (Archive MED 35), H.W. Tilmann's Ascent of Nanda Devi, Cambridge: University Press, 1937 (Archive MED 33) and Kenneth Mason Abode of snow : a history of Himalayan exploration, London : Rupert Hart-Davis, 1955 (Archive MED 29). 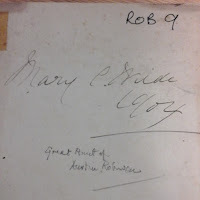 A previous blog discussed other mountaineering books held in the Archive collection.